Aspire is a refreshing lightly sparkling drink which provides Healthy Sustainable Energy from Premium Green Tea extract and Guarana. Aspire is enriched with B&C vitamins and has Zero sugar, Zero Calories & Zero Carbs complementing a healthier lifestyle. Contains 32mg of caffeine per 100ml (80mg per can). Not recommended for children, pregnant or lactating women or people sensitive to caffeine. 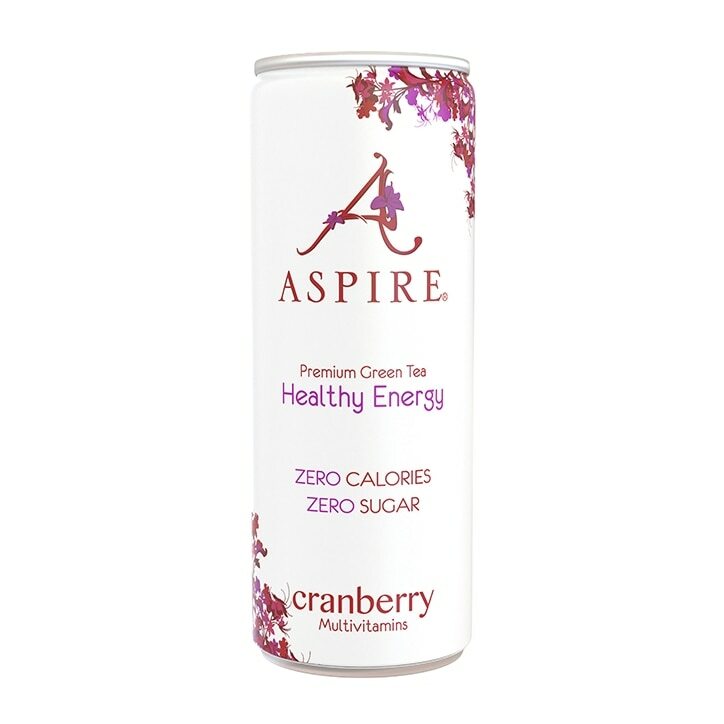 Aspire Cranberry Diet Health Drink is rated 4.3 out of 5 by 20. Rated 5 out of 5 by doctor123 from Great product great quality, will be buying more. . Rated 5 out of 5 by Angel001 from Great flavours I purchased all three flavours from the aspire range. Great product and great taste. Rated 3 out of 5 by Qingzz from Didn't like it I can't say this is healthy - too much caffeine and regular goodness. Taste ok but will never buy it for the money. Rated 4 out of 5 by heather99 from Great tasting drink The taste of this drink is excellent. I am not a fan of slim line drinks, but this does not have a saccharin flavour. I am not sure about it helping to lose calories though. Rated 5 out of 5 by Anonymous from Delicious I bought this for the first time today and loved it. Nice and refreshing, and the flavour tart and just the sort of thing I like. I am impressed by the range of nutrients in it (and the lack of sugar). The price is a little high, hence I won't be having it every day, but very nice indeed. Rated 5 out of 5 by Pete22 from Tasty and refreashing I never thought a sugar free drink could be so tasty, and refreshing at a low price. I really enjoyed every drop.